At Benvenuto’s Italian Grill, our staff strives to give our pizza an authentic Italian taste. We don't only maintain the quality of this food through the freshest ingredients; we also cook our wood-fired pizza in Beaver Dam using a premium stone hearth oven. If the best of Italian food is what you want, excite your taste buds with our wood-fired pizza in Beaver Dam! We're confident you'll love every bite. What Is a Wood-Fired Pizza in Beaver Dam? Wood-fired pizza in Beaver Dam simply refers to a pizza that's been cooked in a wood-fired oven. This oven could be made of a heat-conducive material, such as brick, clay, or concrete. In preparing wood-fired pizza in Beaver Dam, food artisans heat this oven by burning wood, reaching often extremely high temperatures. By "high," we mean 800 degrees Fahrenheit or upwards! This is why wood-fired pizza in Beaver Dam can be cooked to bubbly, crispy perfection in mere minutes. What Makes Wood-Fired Pizza in Beaver Dam Different? Wood-fired pizza in Beaver Dam differs from the regular kind when it comes to visual aspects. These differences can mainly be attributed to the nature of high heat and fast cooking. 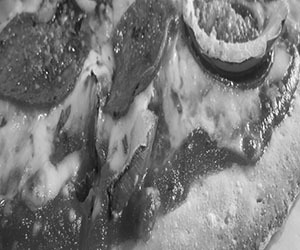 For instance, wood-fired pizza in Beaver Dam often has delightful imperfections in the form of large bubbles on the crust or another part of the pie. In terms of texture, wood-fired pizza in Beaver Dam has a mildly charred exterior at the bottom while remaining chewy at the top and center. This is different from pizza that's cooked in a traditional oven. Unlike wood-fired pizza in Beaver Dam, the traditional pizza takes longer to cook, and its crust commonly turns out dry and dense. Given the fast cooking of wood-fired pizza in Beaver Dam, a delightful contrast is achieved on the finished product. The charred bottom crust of wood-fired pizza in Beaver Dam gives it a subtle smoky taste, which blends perfectly with other flavors. The cheeses and toppings of wood-fired pizza in Beaver Dam are also cooked quickly, hence kept fresh and juicy instead of being dried to a crisp. The cheese of wood-fired pizza in Beaver Dam is heated so that it's melted and bubbling. Meanwhile, the toppings of wood-fired pizza in Beaver Dam retains a nice texture—a balance between meaty, charred bites and chewy, creamy goodness. Bianca wood-fired pizza in Beaver Dam is made up of marinated chicken, garlic, five cheeses, and alfredo. Basil, oven-roasted tomatoes, fresh mozzarella, and garlic on olive oil-brushed crust perfect our margherita wood-fired pizza in Beaver Dam. We make this wood-fired pizza in Beaver Dam with fire-roasted asparagus, chicken, roasted garlic, and sun-dried tomatoes and top it with feta cheese and our five-cheese blend. Gorgonzola and Italian cheeses, chicken, peaches, arugula, lemon honey vinaigrette, and balsamic glaze make up our culinary masterpiece that is the peach gorgonzola chicken wood-fired pizza in Beaver Dam. This wood-fired pizza in Beaver Dam is a blend of five Italian cheeses on top of tomato sauce. Our scrumptious Benvenuto wood-fired pizza in Beaver Dam is the perfect combination of pepperoni, ham, Italian sausage, mushrooms, onions, black olives, bell peppers, and five cheeses. This combo pizza is made perfect with pepperoni, ham, Italian sausage, and five cheeses. Our veggie pizza, the ingredients of which are alfredo or marinara, five cheeses, and four veggies from our toppings list, is perfect for those looking for a healthy treat. Don’t miss out on the best food the Italian culture has to offer! Visit our restaurant to have a taste of our wood-fired pizza and other menu items. For information about reservations and orders, contact us. Have an unforgettable dining experience at Benvenuto’s Italian Grill. One taste of our delightful Italian dishes will surely leave you wanting more. Click here to learn about our gift cards. Bring your friends and family over to one of our locations today!